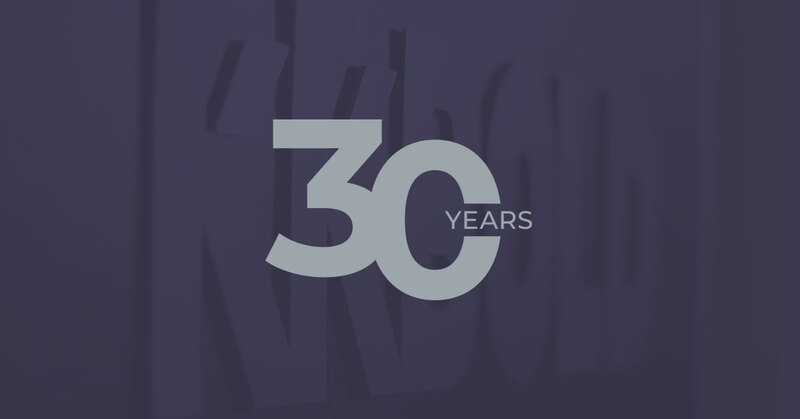 30 years ago when Kranzler Kingsley Communications LTD opened with five employees, there were no computers or cell phones — No email, no internet, no websites. It’s hard to even look at the work we do now and recognize it as the same thing we did 30 years ago. “Adaptability, innovation and forward thinking have always been the foundation of this company,” says KK BOLD President LaRoy Kingsley. The agency was started and run by both LaRoy Kingsley and Wayne Kranzler, CEO, until his retirement in 2014. We started with a handful of local and regional clients and have since then worked with numerous companies across the U.S. and overseas. Although the landscape of this industry looks quite a bit different today with skills like geofencing and analytics, over the past 30 years we have maintained our focus on building our clients’ brands. The K2 Interactive web division started in 1999 and was then incorporated into one entity when we transitioned the company to KK BOLD in 2010. Our Minot office opened in 2006.